These parents were shocked when they went for their pre-birth scan and saw that what they thought was a baby was something very different . 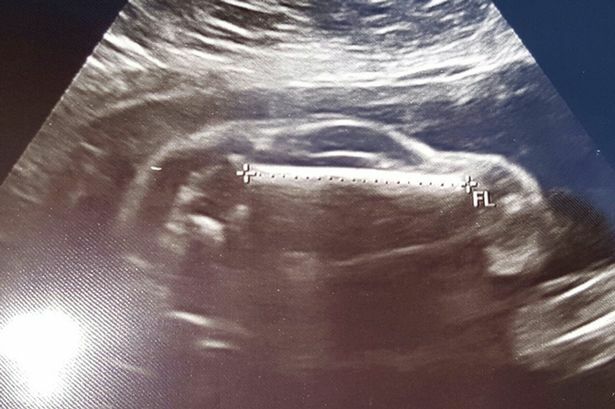 A man has shared the ultrasound he and his wife got - and shared the unusual news that his wife is pregnant with a SPORTS CAR. The father-to-be, known only as Brewhaus3223, shared the image online after the duo were shocked at the fetus' unusual shape. The husband told Someecards he and his wife had been trying to have a baby for two years and even tried IVF, but in the end had a little girl via gestational surrogate. When their daughter was six months old, he adds: "A miracle happened and my wife became pregnant naturally, well as naturally as you can when you're carrying a car." He reveals that it's a boy car.